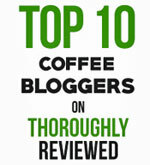 Coffee Gear Gift Ideas – What I would buy for a friend this holiday season. 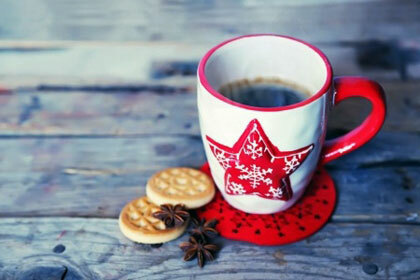 Each year I compile a list of the gifts I would give a coffee-loving friend. This my list for 2018! 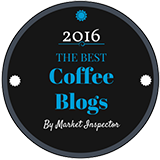 I try to cover all the bases – from someone who wants an easy way to make coffee, to the person who is more into hands-on brewing. Plus, for a person who already has the brewing and grinding systems they want, I have come up with a few ideas for accessories too. Just to be clear, this is all equipment we have tried and tested ourselves, and have reviewed in this site. The drip brewer I would give to a friend. 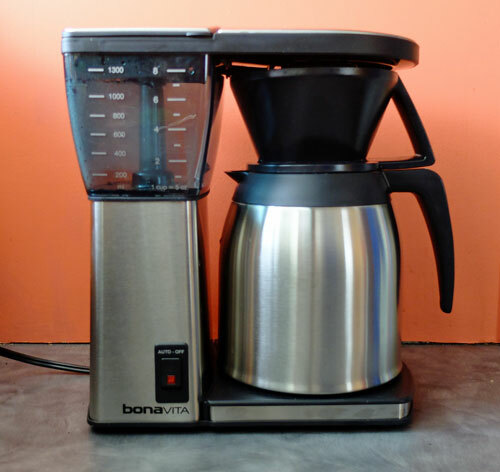 The Bonavita BV1800 with thermal carafe. This is the drip brewer we use every day at home. 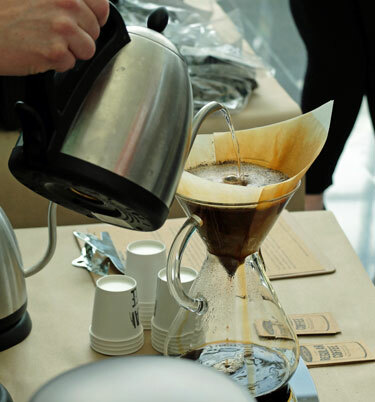 It’s one of the few drip brewers approved by the Specialty Coffee Association of America and is used by a number of top industry experts in their homes. It’s not even very expensive. The semi-automatic espresso machine I would give to a friend. To be fair, there are plenty of semi-automatic espresso machines I haven’t tried. But of the four or five I have, I like this one. It’s solid and reliable. Its key feature is that unlike many other machines in its price range it has a double boiler, heating water at different temperatures for making the espresso shot and steaming the water. The pod-based espresso machine I would give to a friend. This machine makes only espressos and lungos, which are longer espresso shots. 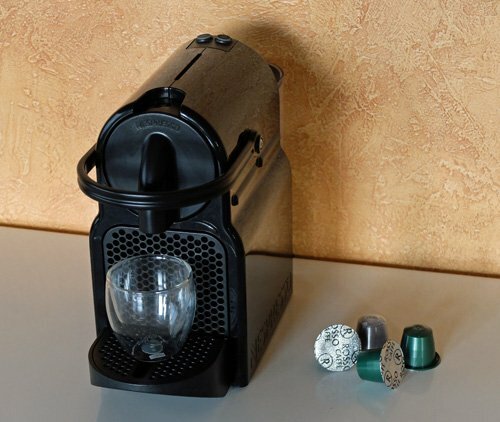 It uses single-use capsules, like K-Cups for espresso. 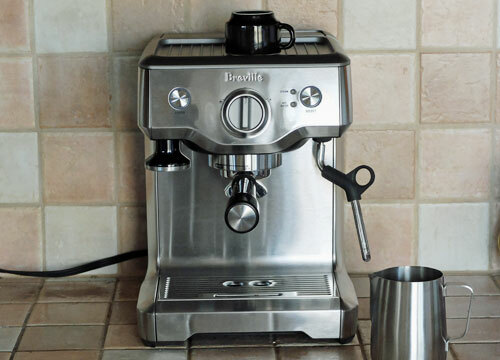 I like it because the machine is super-slim and fits easily on any counter, and it makes a very nice shot of espresso. The coffee grinder I would give to a friend. 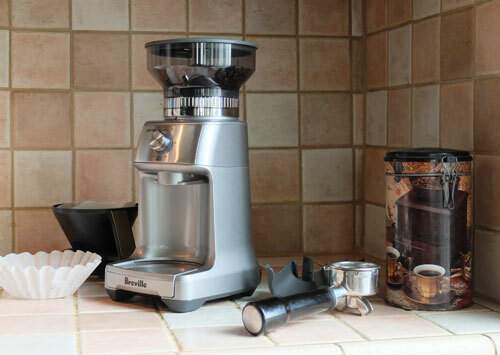 The Breville Dose-Control Pro burr coffee grinder. Actually, I have two favorite coffee grinders, both of which are conical burr grinders – the best kind. For years I used the Capresso Infinity grinder, and it’s still going strong. But recently I switched over to the Breville grinder. Why? Because the Dose-Control Pro has a dial that allows me to grind the exact amount of coffee I need for my drip brewer each morning. I just press one button and I’m done. The pour-over brewer I would give to a friend. 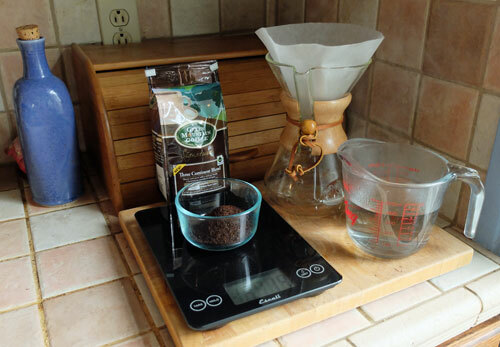 There are a number of products out there that will do the job if you want to make coffee manually, using the pour-over method. I vote for the Chemex for aesthetic reasons. I love the look of it, and the fact that it’s made from glass, wood and leather. No plastic in sight! For me there is something very appealing about a tool that requires manual skill, plenty of practice...and is made with non-synthetic materials. The coffee scales I would give to a friend. Escali Arti digital coffee scales. Truth be told, I have only ever tried one set of coffee scales, the Escali Arti. I dare say there are others that are just as good. As a gift idea, scales are perfect for the person who is getting more serious about making great coffee, but is still using a scoop to measure out the ground coffee. With a set of scales like these you can measure to the nearest gram and really get into refining your brew. If you know someone who is moving up the coffee appreciation ladder, they’ll love you for giving them some digital scales. You can read more about why and when I use these scales here. The coffee maker I would give to a friend who travels a lot. Impress coffee maker and travel mug. 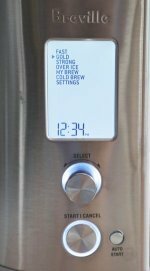 I have a few brewing systems that would work fine when I travel. But I particularly like the Impress for a couple of reasons. 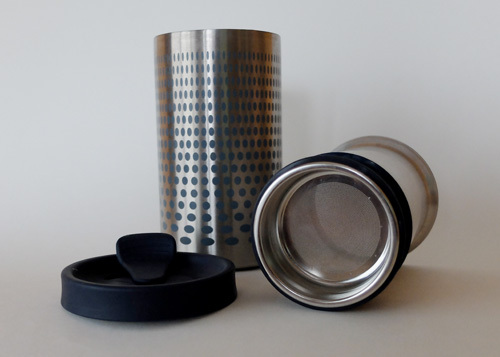 First, it is both a French press and a travel mug, rolled into one. I make my coffee in the Impress, and then carry it with me and drink from it. Super simple. Second, it is made from stainless steel and silicone. This means I never have to worry about breaking it. Even if it has a rough time at the airport or if I drop it on the floor. It makes a great cup of coffee too. That's it for this year. Happy Holidays!